Máster Universitario en Gestión Cultural - UIC - MA in Arts and Cultural Management: "We simply gained knowledge of many artistic fields and how they are managed, I do feel that this program turned me into a Cultural Manager in its broad sense"
"We simply gained knowledge of many artistic fields and how they are managed, I do feel that this program turned me into a Cultural Manager in its broad sense"
We introduce you to Maneh Tonoyan from Armenia. She is a student at the Master’s Degree in Arts and Cultural Management at UIC Barcelona, academic year 2015-2016. She studied International Tourism Management and has lived for 3 years in Holland before moving to Spain. Question. Maneh, you have been chosen by your classmates to be the leader of the English course at the Master´s degree in Arts and Cultural Management at UIC, can you share with our readers how do you feel in this role? Which are your main challenges? I am thankful to my classmates for trusting me and Diego. At the beginning I thought that it wouldn’t make much difference, because I would be acting the same way anyways, regardless of being the delegate, however, later on, there were situations in which I had to take some initiatives, which I would have otherwise not taken. I guess these were many lessons given by this role - thinking of the group I went out of my comfort zone to do things that I didn’t think I could do for myself. For me the main challenge was trying to engage the class in activities that required the whole class participation, such as the study visits, filling in questionnaires and alike. It is not easy to motivate or persuade 25 people to do something when you are also simply part of that group. However, I think I was part of a very special class formed of amazing individuals, so the year was wonderful for me. I love my classmates and am very much looking forward to the success stories in the future, to be proud of all of them. Question.This month you also collaborated with Sónar, the International festival of Advanced music and New Media Art in the city of Barcelona. How did you get this opportunity and how was your experience in one of the biggest and most influential international festivals? What were the main challenges that Sónar organization faced this year? The opportunity was given by the university and I was lucky to get the chance after an interesting bilingual interview with Georgia Taglietti, who is the head of the Communications Department at Sónar. Prior to that I did not have work experience in the artistic field, but music and cultural events were my main interests before I took this master program, so suddenly having the opportunity to work at the press office of such an important event was meant to be a valuable experience for me. I joined the team in quite an early stage of the festival, so I actually saw the event growing. It was simply fascinating to see all of the enthusiasts of Sónar putting their energy and passion into making it happen. I learnt much along my journey and it will always remain a very special experience in my life. I think one of the main challenges of every event hosting about 115.000 visitors is to make sure every visitor leaves enriched, especially considering the diversity of the product you offer - Sónar is much more than a music festival, it is a feast of music expressed through the art of technology, and the festival together with the congress Sónar +D celebrates it with the highest possible quality. In the case of Sónar it has been a big success, thanks to the dedication of the team and their passion for music and technology. Magic is possible when you do what you really love doing, I think that’s how all challenges are handled at Sónar. Question.You are in the final step of the master´s. 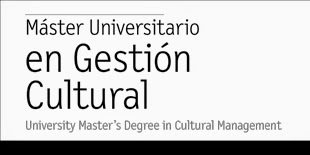 Do you think this Master´s Degree in Arts and Cultural management at UIC has provided you complementary tools for your professional development? Absolutely. First of all, I am grateful to the professors who did more than they were required to help and provide us with the right professional tools. While many people in our class had an artistic background, in my case that was a gap, which at times made me a bit insecure to be in the field, but thanks to the last 10 months I gained much knowledge. I have not become a specialist of performing arts or audiovisual industry, but I am confident that I can manage a film festival and can work confidently in the performing arts industry. We simply gained knowledge of many artistic fields and how they are managed, I do feel that this program turned me into a Cultural Manager in its broad sense. It was very intense and tiring but certainly rewarding. Other than the knowledge we received, I can’t stay indifferent to the group of people I was surrounded by during this year. These are the people I want to work with always in my future, so I hope to be in touch with all of my classmates and hopefully create many beautiful cultural projects together. Question.Which advice would you give to those who are considering to start the Master´s in Arts and Cultural management in the next academic year? There are two pieces of advice - be proactive and focus only on the directions you are interested in. If you are passionate about music or films, make sure you form a group with people who have similar interests in order to do the cultural project in the field you want to specialise in, because this cultural project is real and can open up doors for your future. Along your project you will familiarize with the industry and be surrounded with the right people, so take advantage of it by following the path you like.